Fun is an important component in any long term relationship. Of course, it can not all be fun and games when you are in a serious committed relationship, as life is not a fairy tale! However, if you get stuck in a rut, only talking about bills, kids, worries and problems, then the relationship will really start to suffer. You need to have some fun together and enjoy each others company so that you remember why you fell in love in the first place. It helps to keep that spark alive and does not have to cost lots of money. On top of the recommended date night, there are lots of other ways to have fun together if you use your imagination. Laughter is so important for the soul and laughing together really strengthens your relationship. It will also make you feel better individually too! If you have been having relationship difficulties and you feel like you are stuck, think about how often you have fun together. How often do you laugh and joke together and talk about things which are not related to problems? Chances are you will find it difficult to remember the last time you actually had some fun together. Why not make an active choice to change the game and have some fun. It may not be easy if you have been arguing a lot or if you are suffering from depression, but it is worth making the effort as it will benefit you as well as your relationship. Try and remember when you first started dating and the types of things that you would do to have fun together. Think about the silly carefree times which made you laugh together. This should give you a few ideas to start putting the fun back into your relationship. 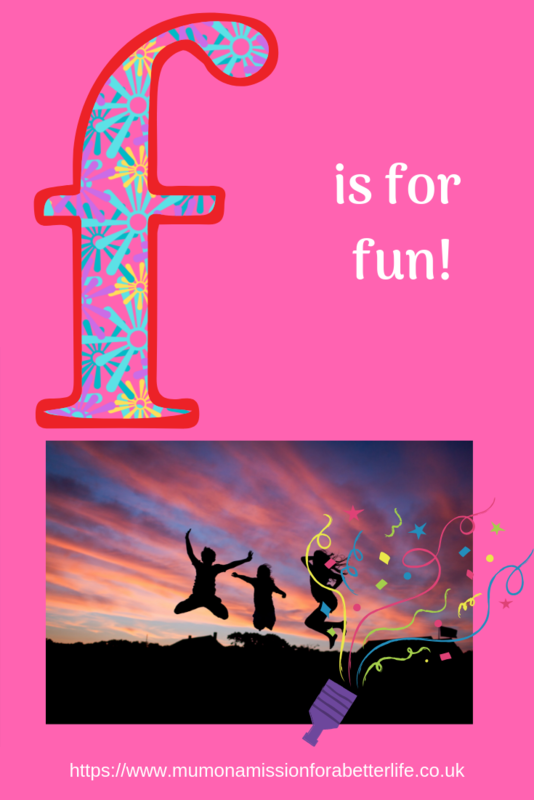 If you have children then it is also important that you have fun as a family, illustrating to the children the importance of enjoying spending time with each other. This post was part of my A-Z of a healthy and happy relationship series.